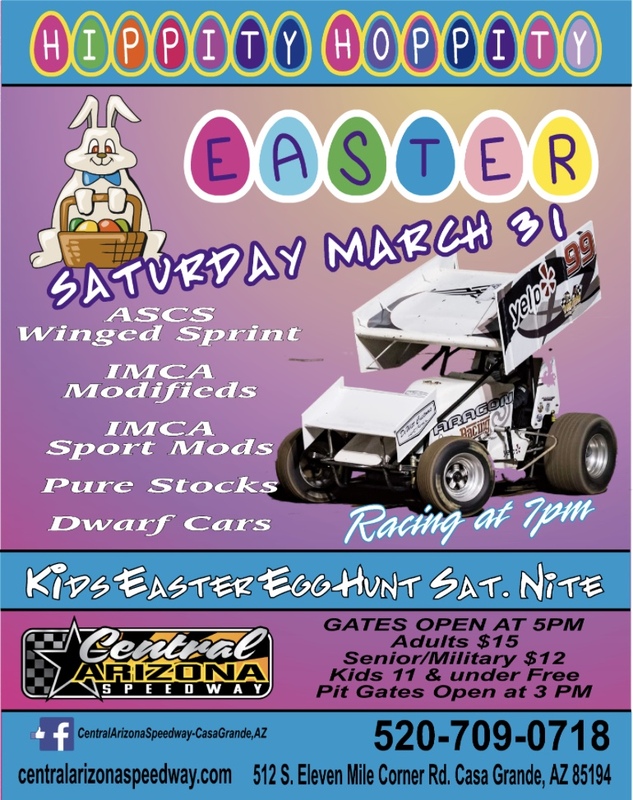 This Saturday, March 31 Central Arizona Speedway welcomes ASCS Wing Sprint Cars for their first visit of the season. IMCA Modifieds, IMCA Sport Mods, Pure Stocks and Dwarf Cars will round out the lineup for Hippity Hoppity Easter. All kids 11 & Under get your Easter baskets ready and head on out for a fun filled night and Easter egg hunt.